Folks, we're finishing out another year, it's cold outside, and you're probably a little stressed. That's OK; these are stressful times. Maybe take a break from worrying about the impending holiday season for a second and just take joy in something small and delightful, like National Cookie Day, which is Monday, December 4. Free cookies are coming your way, and that's objectively a good thing. And look, all the best cookie deals are listed in one convenient location for you right here, so get ready to unleash your inner-Cookie Monster. It's important. The deal: Hit up your local Insomnia cookie shop for a free traditional cookie with any in-store purchase. The deal: The first 400 customers at every location will receive one free cookie, so get in line. The deal: If you retweet this tweet and show it to your cashier, you'll be the proud owner of a free cookie. The deal: This cookie purveyor is handing out one free chocolate chip cookie per customer. No purchase necessary. 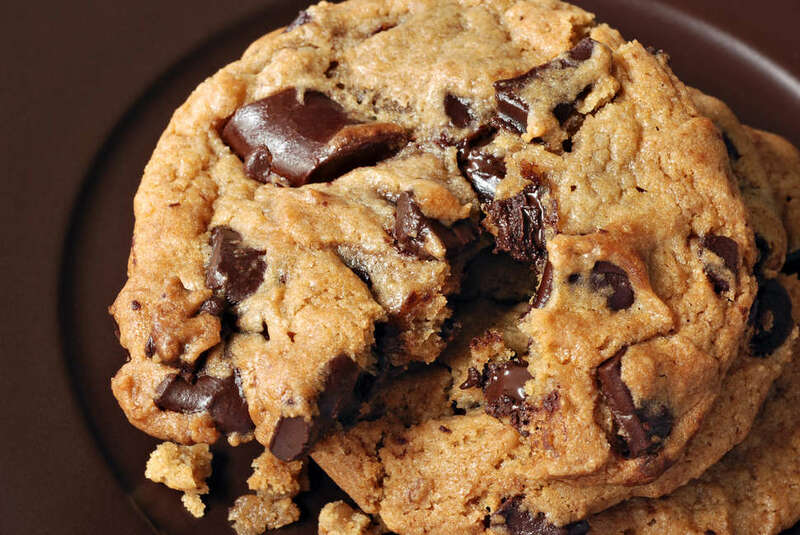 The deal: If there's a Chip in your area, head there for a free regular chocolate chip cookie. You don't have to buy anything. The deal: You'll get a free cookie with any order of a sandwich, shake, or ice cream. The deal: Order any sandwich and you'll receive a complimentary chocolate chunk cookie bite. The deal: Get 50% off fresh-baked cookies. It's not free, but it's something. The deal: Buy one of the Cinnamon roll chain's new Cookie BonBites -- a cookie with a cinnamon rolls baked inside -- and they'll throw in an 8-ounce Fairlife milk for free. The deal: Visit this grocery chain's website for special cookie-related coupons. 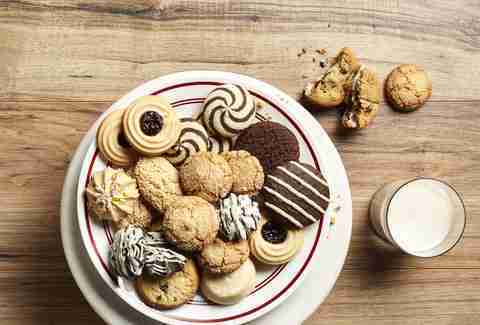 If you know of any cookie freebies or deals we missed, email us at news@thrillist.com and we'll add 'em here. As always, celebrate responsibly. James Chrisman is a News Writer at Thrillist who has reason to suspect the Cookie Monster is his biological father. Send news tips to news@thrillist.com and follow him on Twitter @james_chrisman2.